There’s no doubt that babies are nice – human treasures with all kinds of loving qualities. 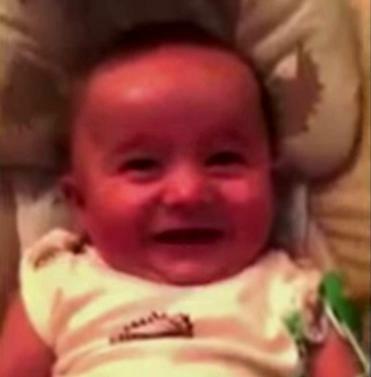 However, one baby certainly has a uniqueness all his own – his laugh – evidenced in a viral video this week. The baby’s laugh, which would bring a smile to your face and put joy in your heart, has a sound which has been described as a drunk guy’s cackling where you’re constantly want to ask him what’s so funny but don’t because you’re afraid he’ll become violent and hit you in the face. Sponsored links A British firm has developed a perfume that replicates the smell of a comet’s surface.